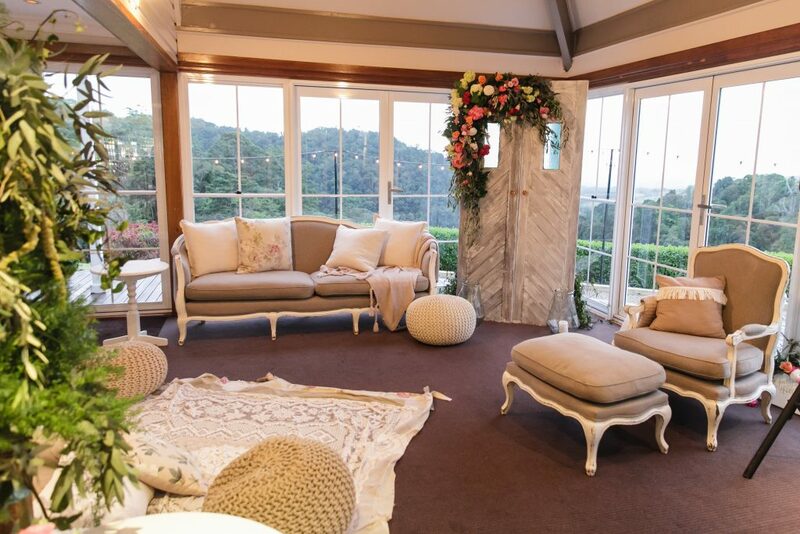 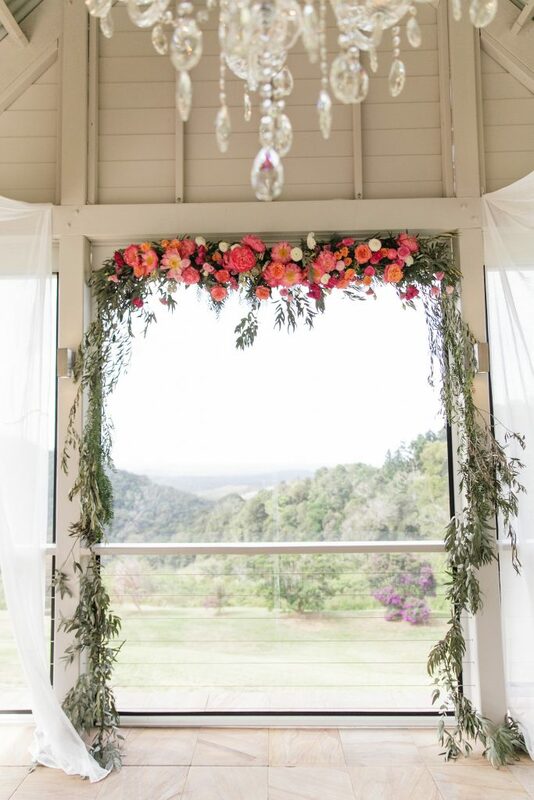 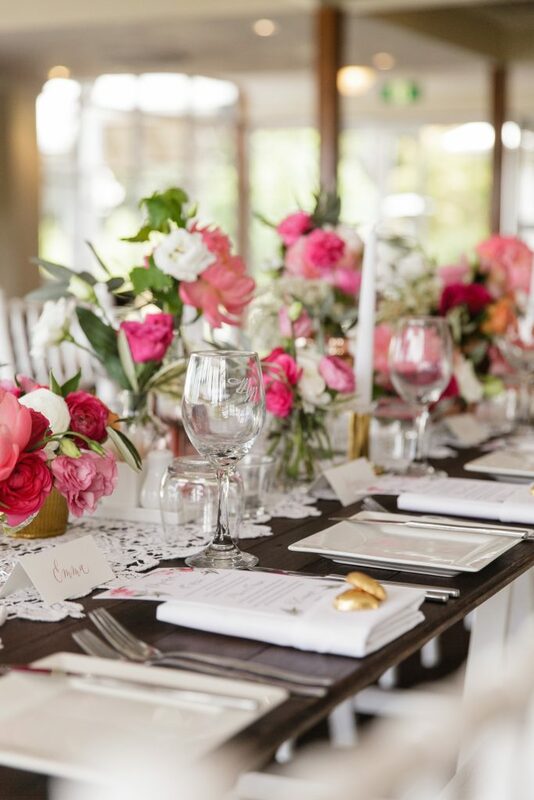 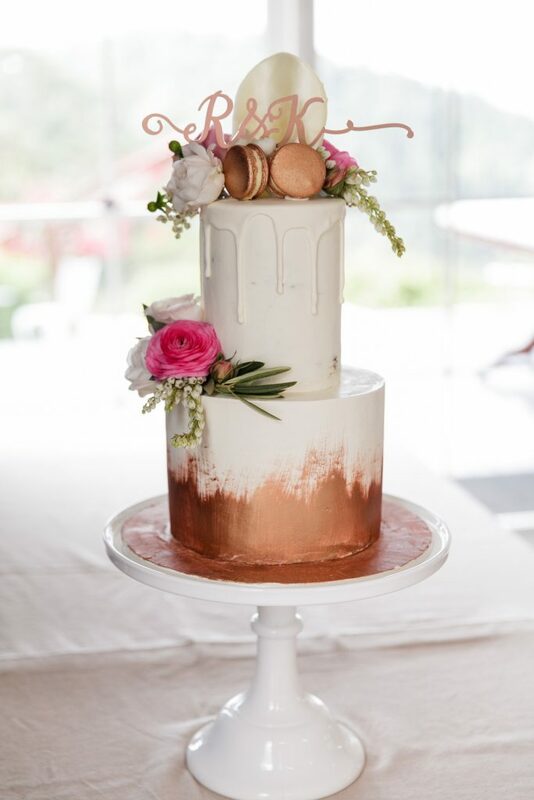 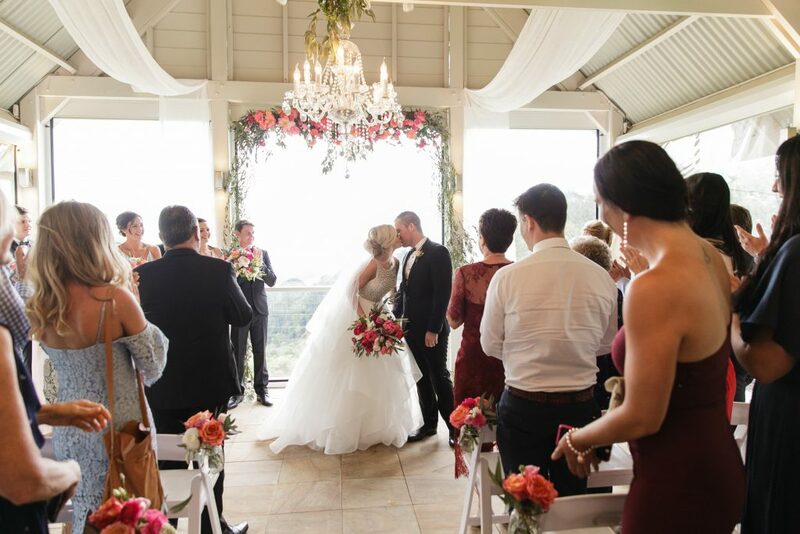 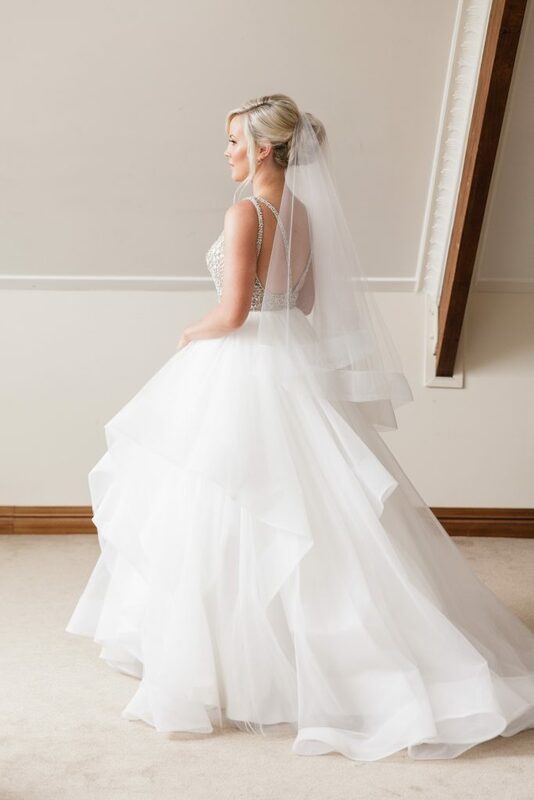 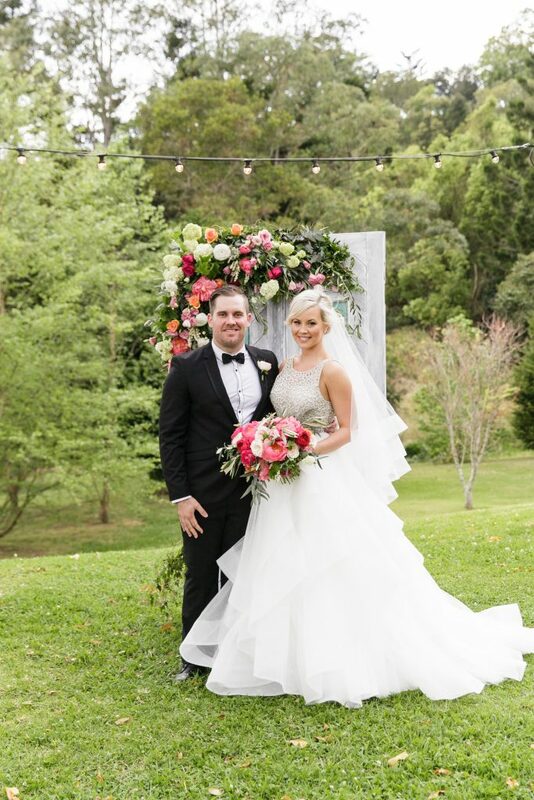 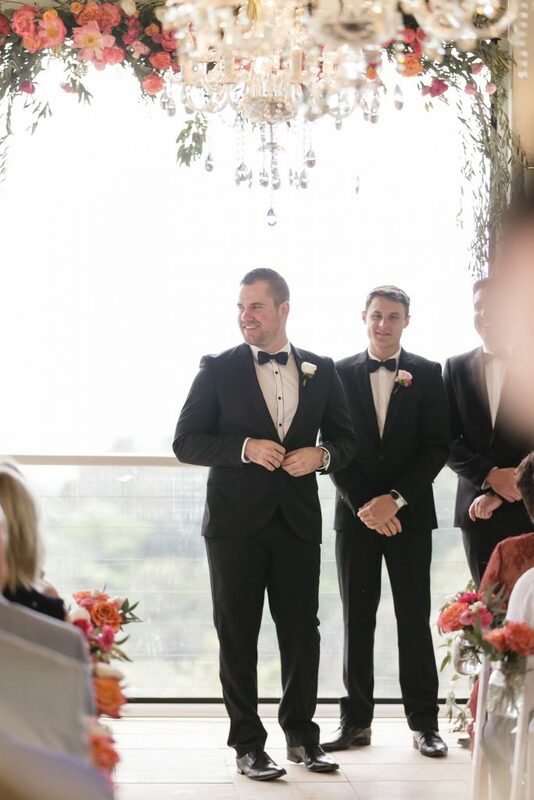 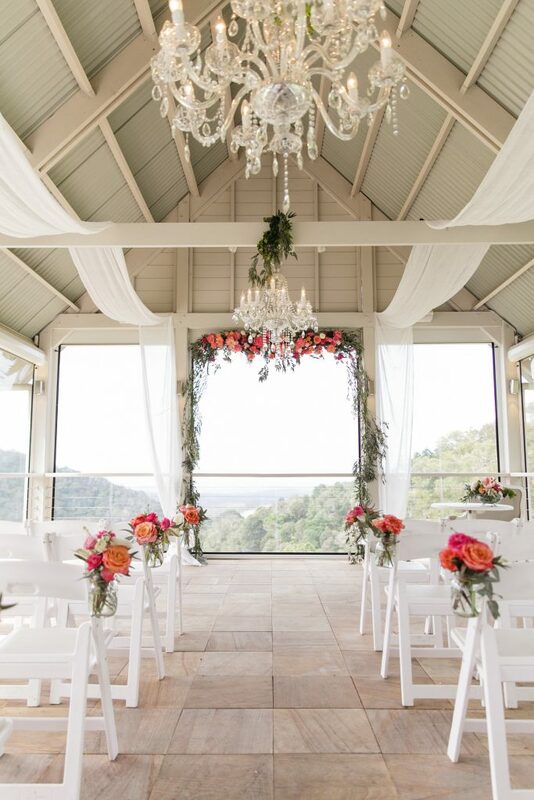 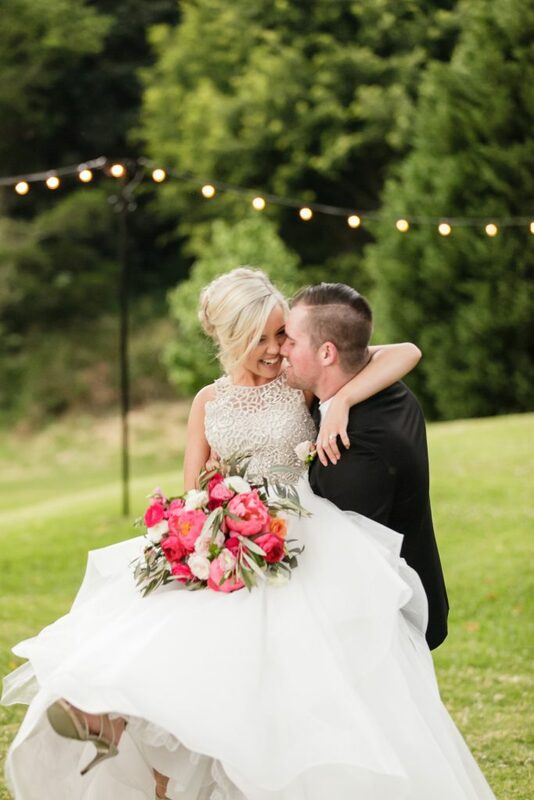 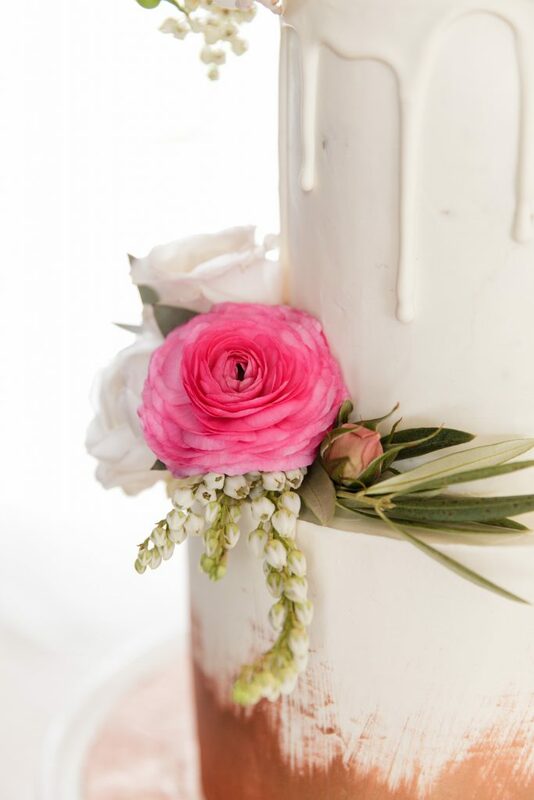 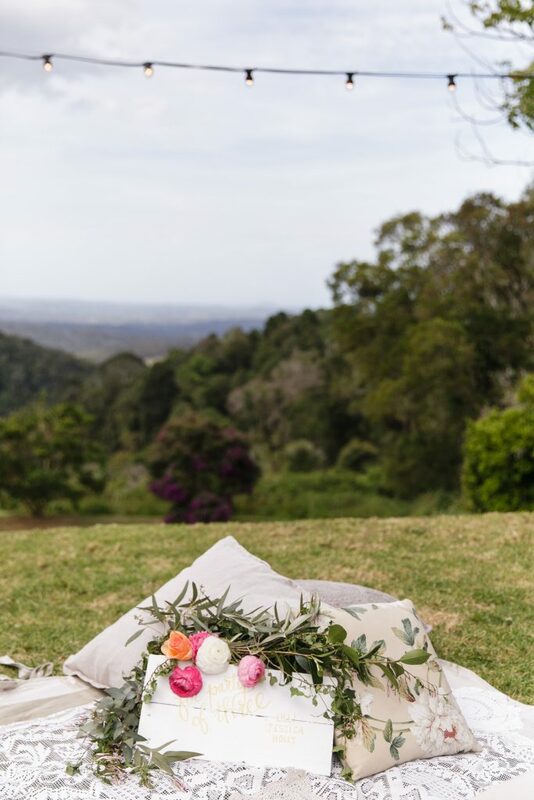 One of our favourite people celebrated her very special day last year at beautiful Maleny Manor, and if the gorgeous bride in these stunning images seems a tad familiar it’s because it’s our lovely Katie from the Mondo Floral Designs creative team! 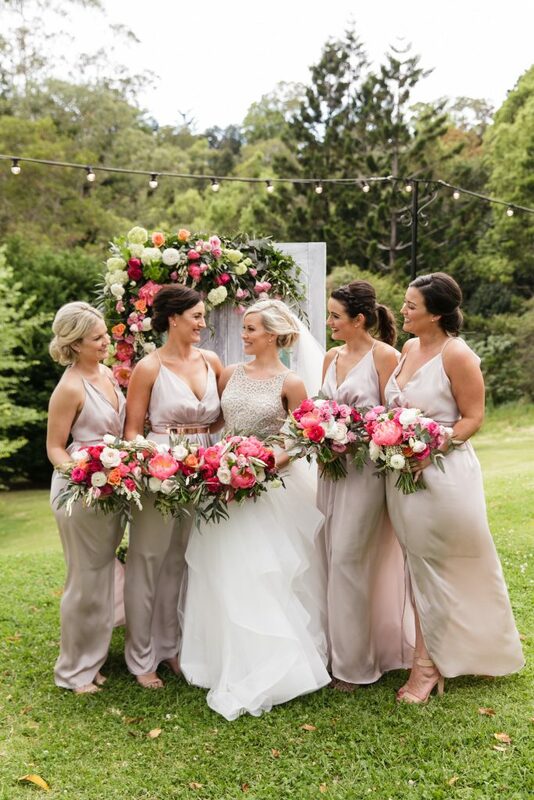 One of our very talented floral designers here with us at Mondo, Katie certainly had an absolute vision for her beautiful day, putting together her list of floral faves and armed with industry knowledge and a focus on florals taking centre stage in the wedding styling arena, it’s no wonder that her flowers proved to be the shining star on her day that was filled with pretty wedding details. 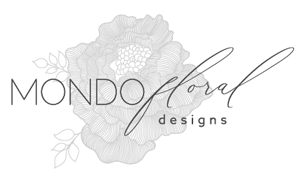 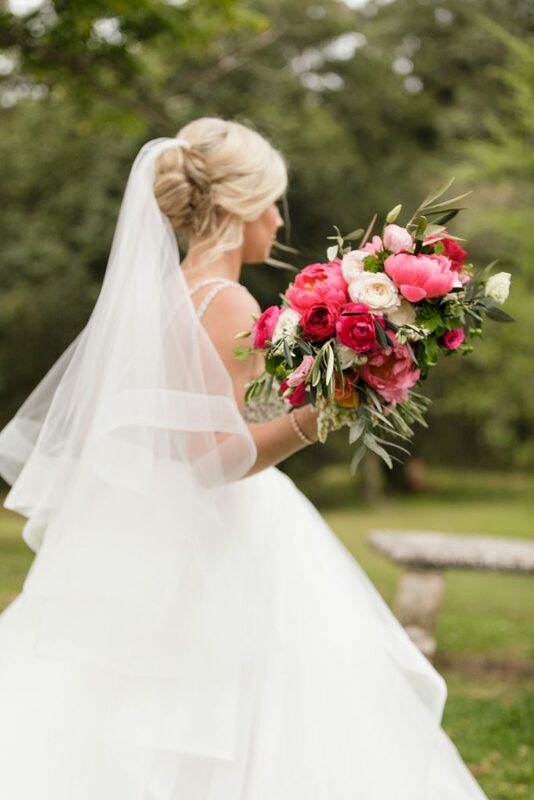 So what does a floral designer who dabbles in designing wedding flowers most days choose for her own wedding day you may wonder? 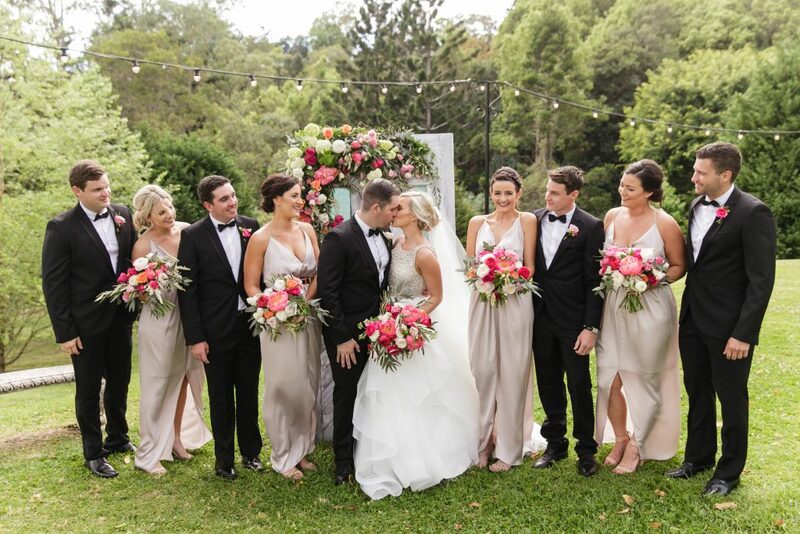 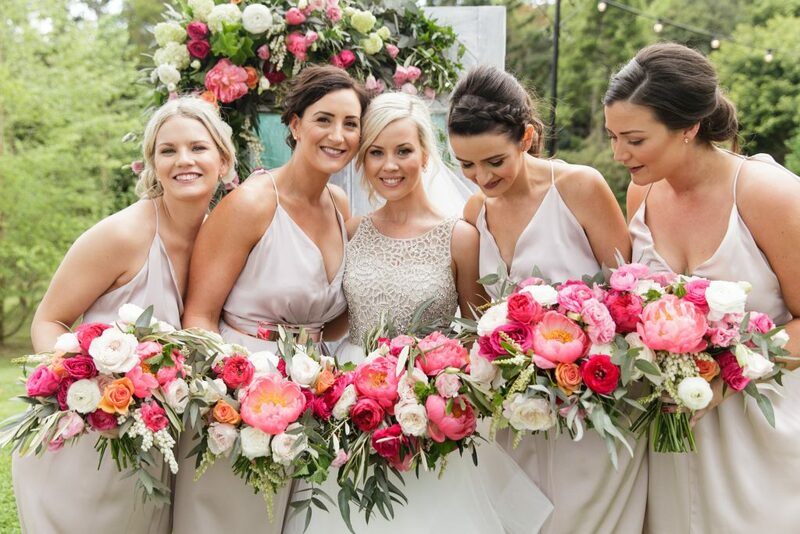 Well a collaboration of exquisite blooms were on show for Katie and Reece’s hinterland celebrations, and it was an absolute plaesure being a part of this gorgeous wedding day. 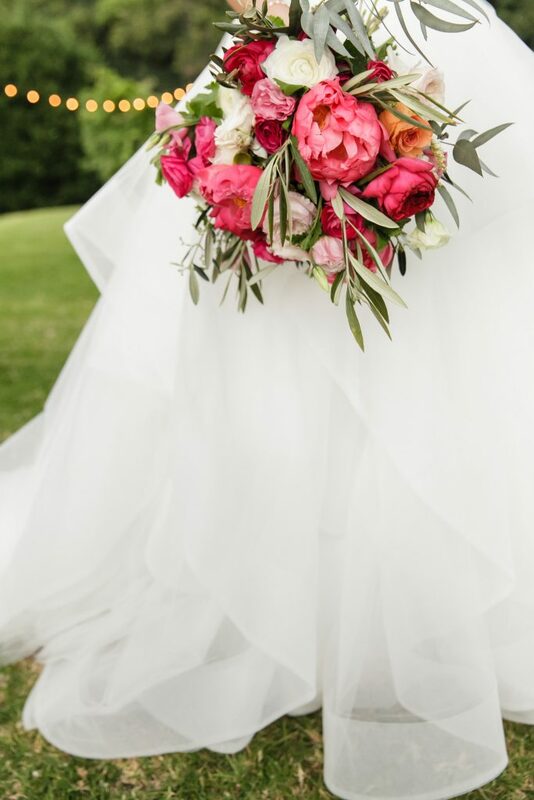 Katie wanted to enjoy her day and concentrate on being a bride-to-be so the rest of the team at Mondo HQ were charged with creating her designs, she had alot to do with the end result though, and as a floral designer she had a perfect understanding of the colour palette and bloom choices for her day. 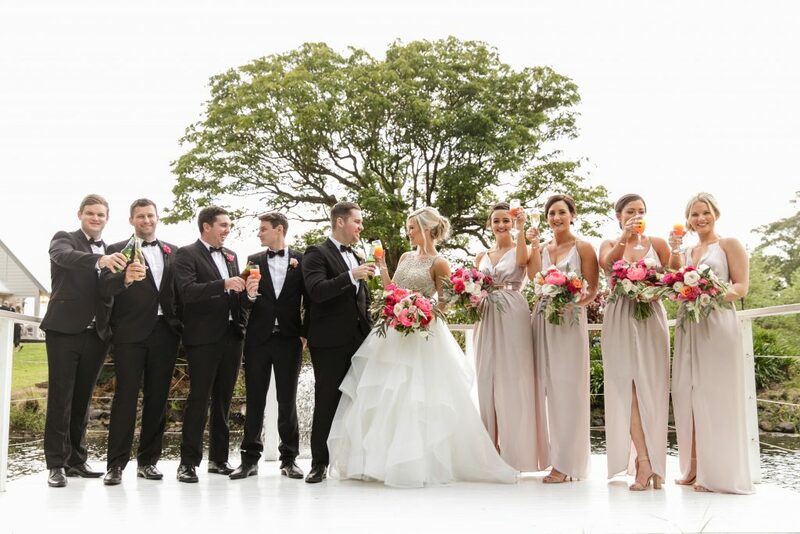 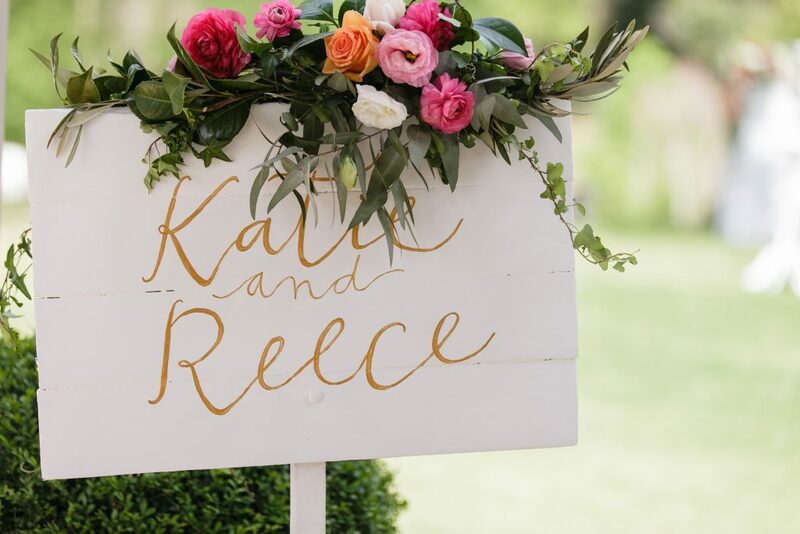 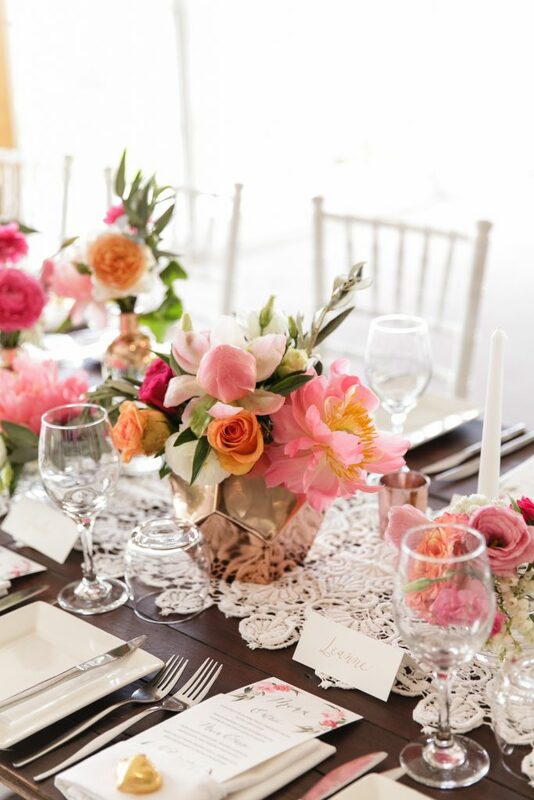 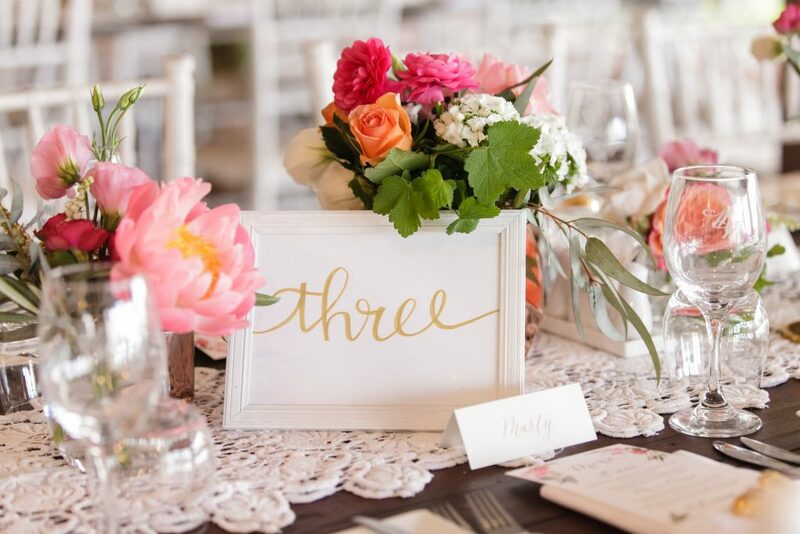 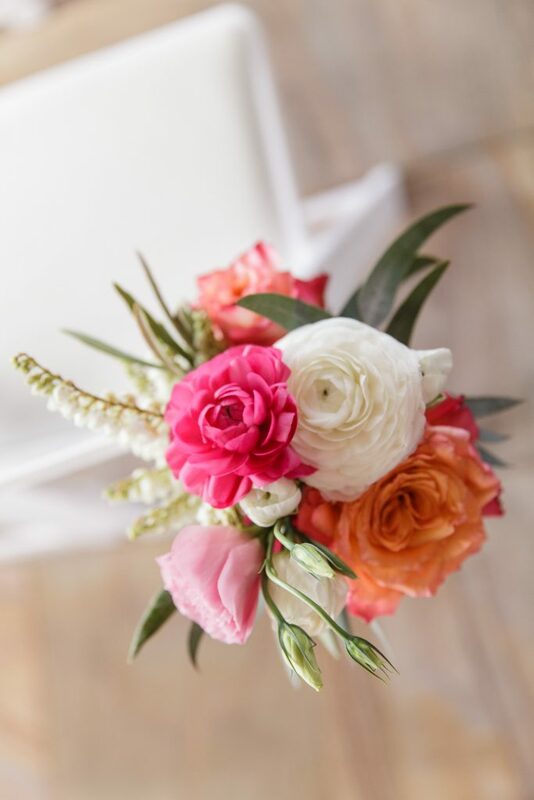 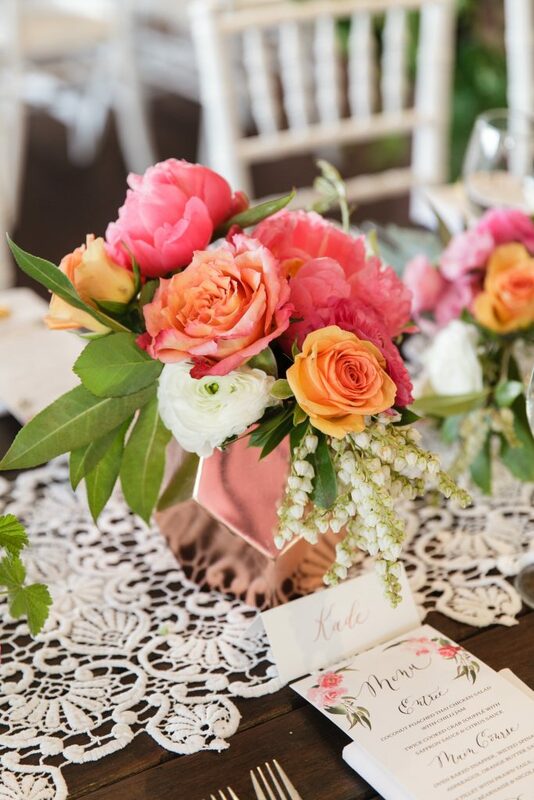 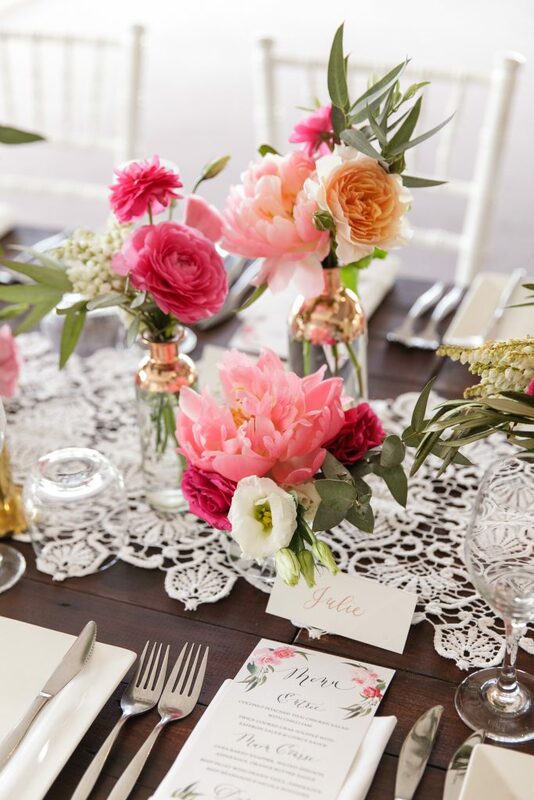 Katie chose a colour palette of coral, peach, pale pink, and ivory tones, with pops of stronger pastels intertwined and romantic vintage tones, the collaboration of blooms were beyond beautiful with plenty of pretty petals on show. 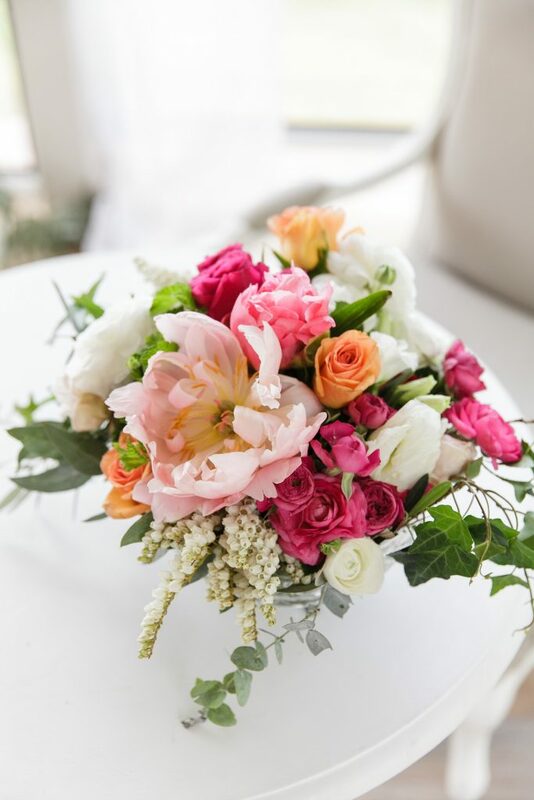 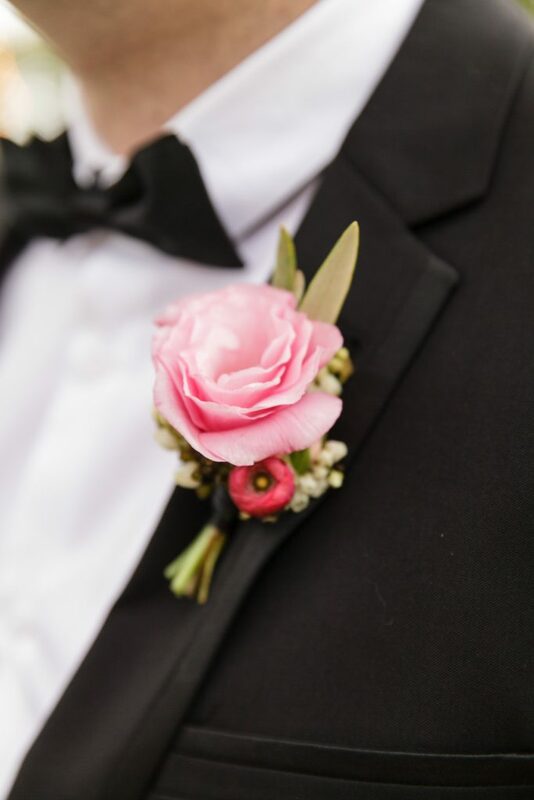 Our lovely suppliers sourced imported coral peonies and David Austin roses for us and in combination with ranunculus, double tulips, cottage roses, lisianthus and Columbian roses the delicious floral wish list combined to create a stunning array of beautiful blooms. 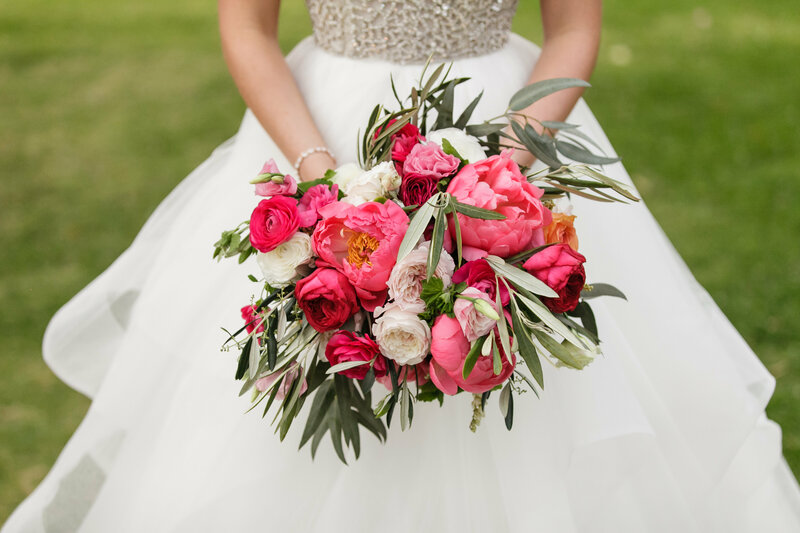 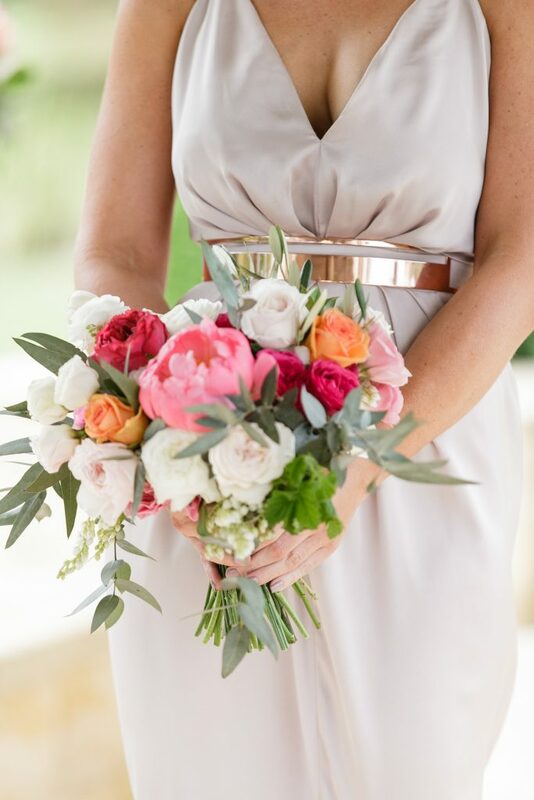 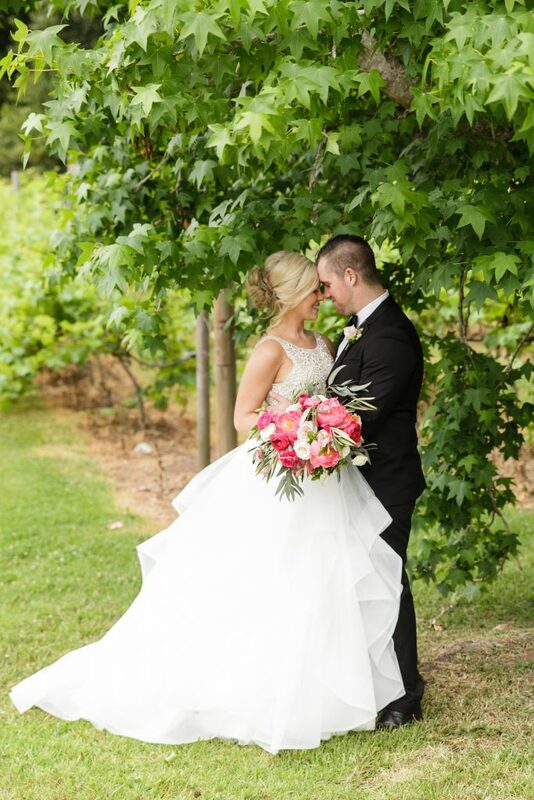 Katie’s bouquet had touches of rustic tones with olive foliage and nutty gum, and in combination with the delicious peonies, David Austin roses, ranunculus and lisianthus her gorgeous bouquet design accented her divine dress, and the featured ruffles in the skirt line just perfectly. 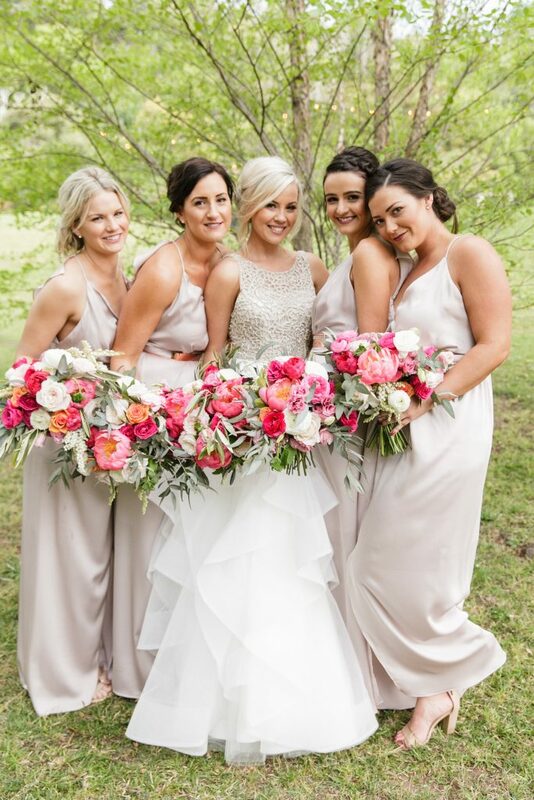 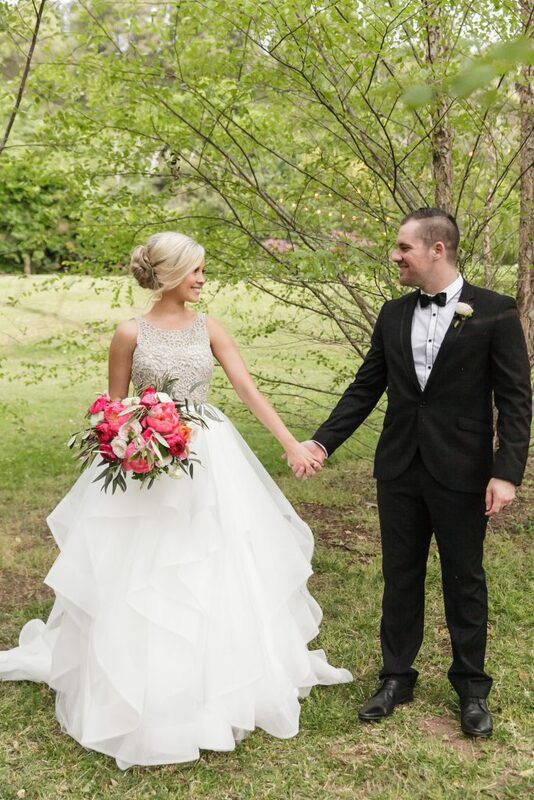 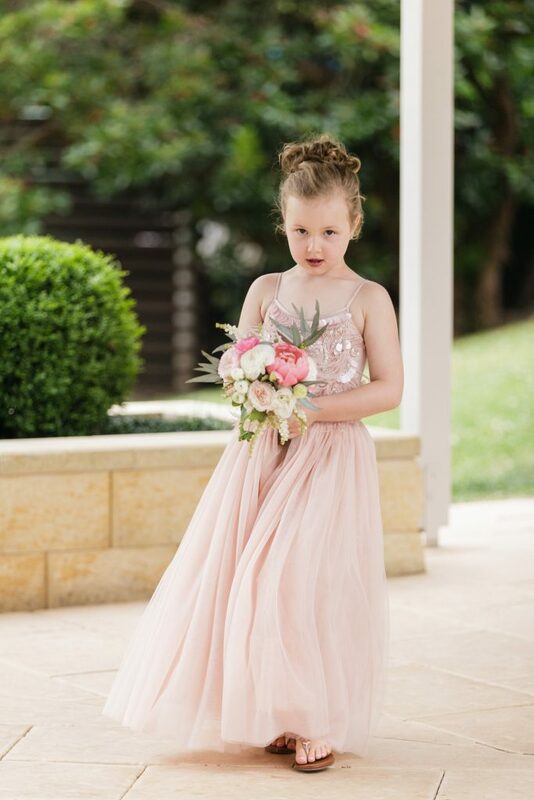 Slightly smaller versions of the bridal bouquets were created for her girl tribe, with the beautiful soft blush bridesamids dresses a gorgeous styling accent for the day. 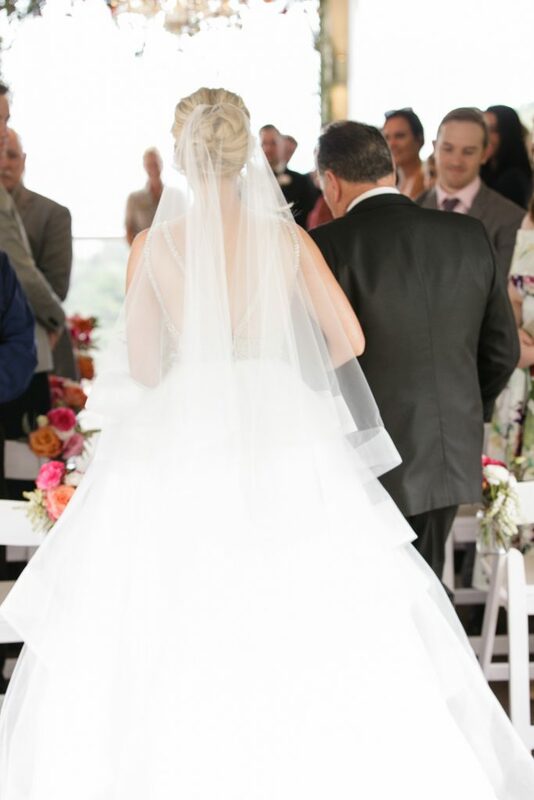 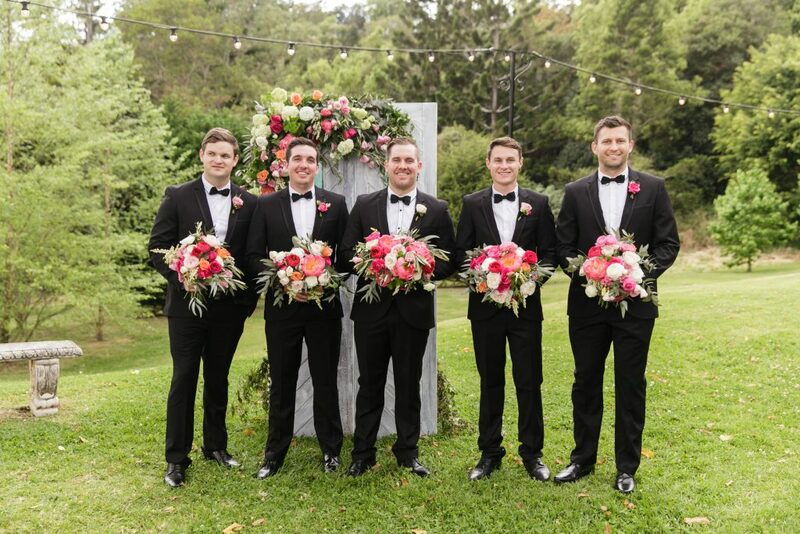 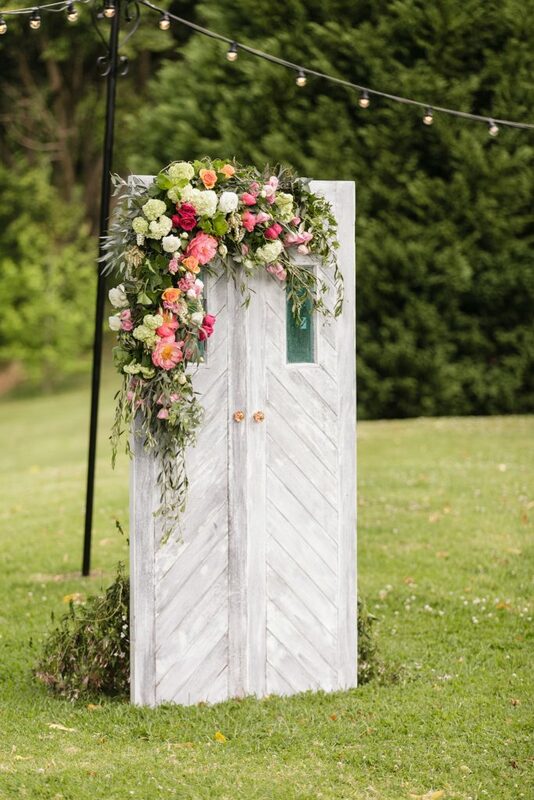 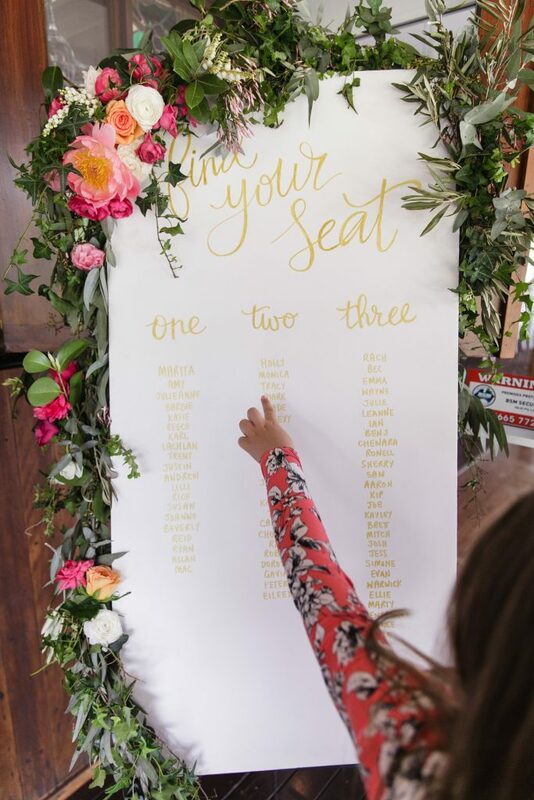 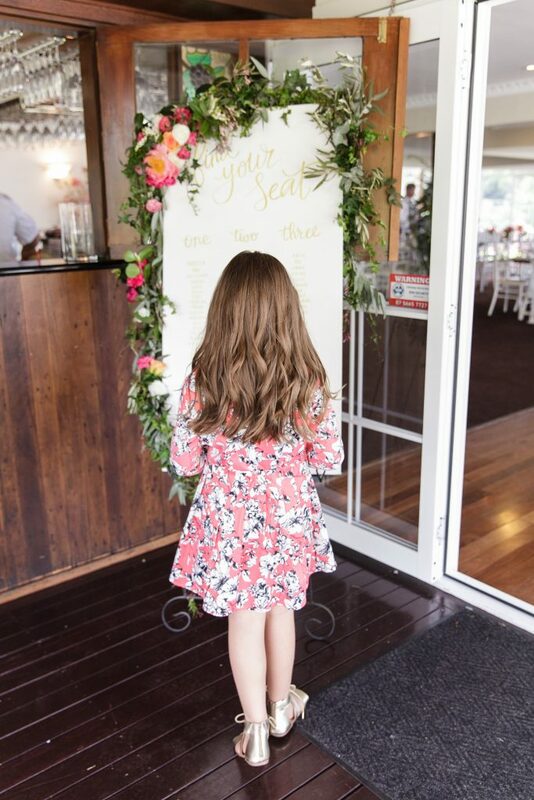 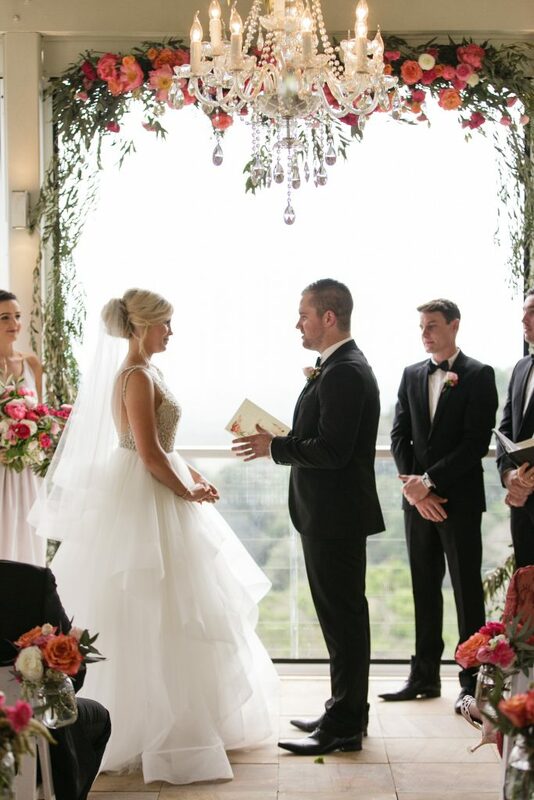 The ceremony featured plenty of special touches including a ceremony sign floral feature, pavilion hanging structure and aisle chair jars, and the beautiful custom created doors that Katie sourced were dressed with floral and were placed out on the plateau for garden party fun! 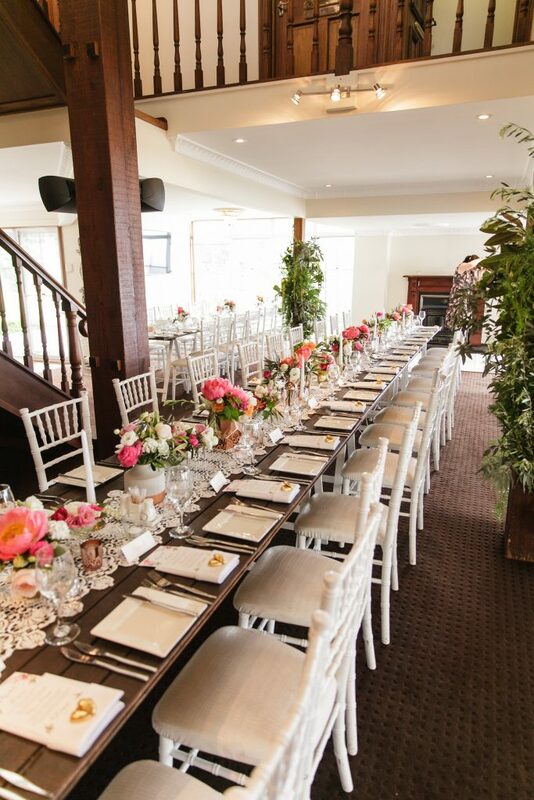 The reception area featured green features on the timber poles, bringing the gorgeous gardenesque outdoors in, and the glamorous timber tables featured a combination of Katie’s favourite Mondo vases including our copper geo vase, rose gold bottles and ombre glass vases and hints of concrete, crystal and pops of old world gold, it was a collaboration of beautiful mettalic gold accents and it sure was super pretty! 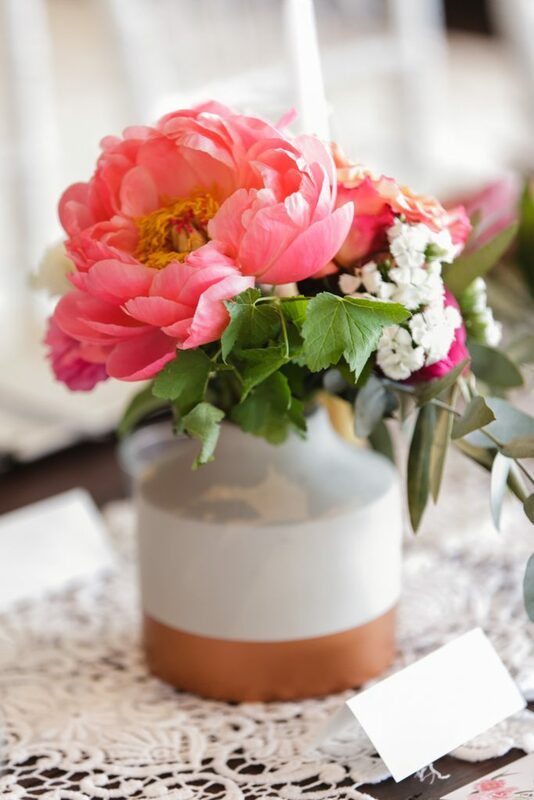 The stunning colours partnered beautifully with the luxurious vase collection, and those incredible peonies absolutely stole the floral show! 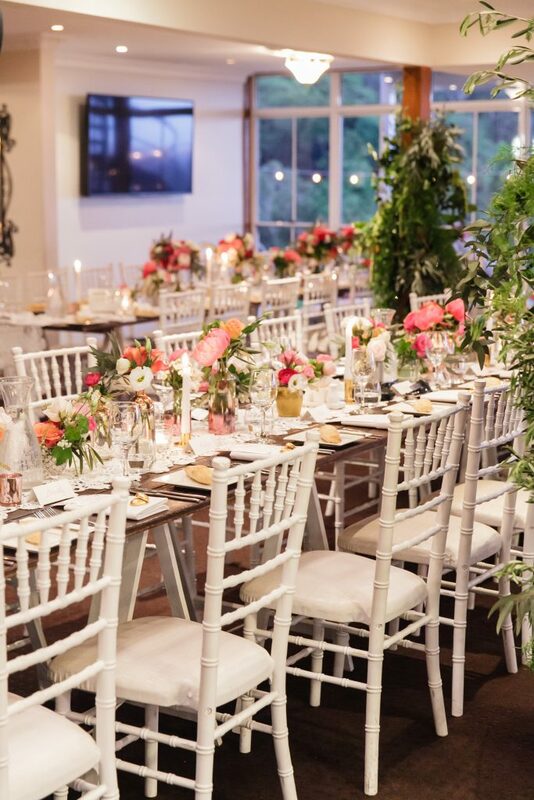 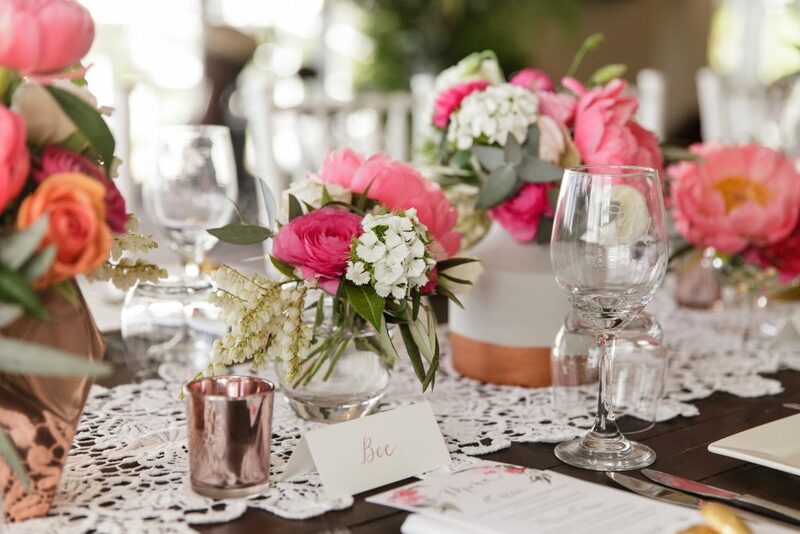 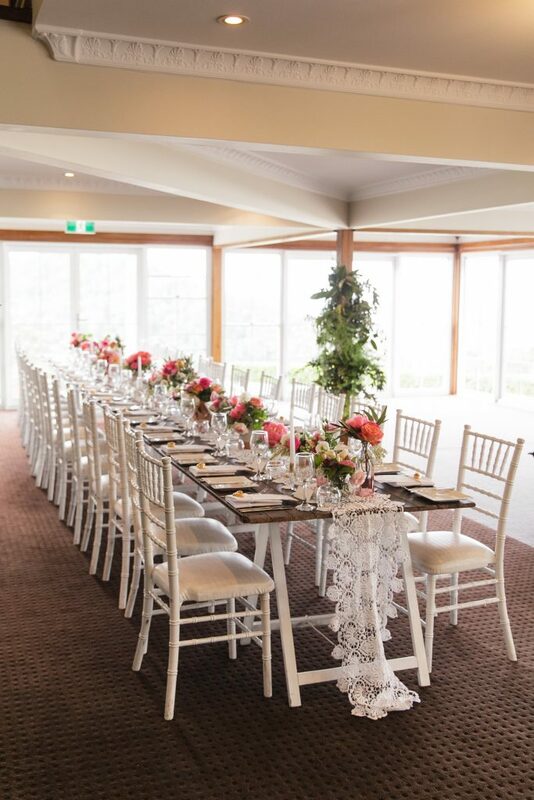 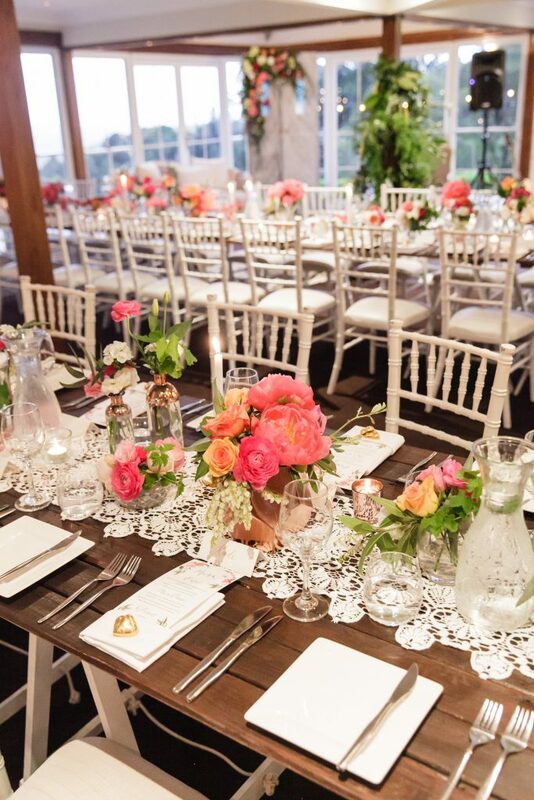 The gorgeous long feasting tables were glamorously styled with decadent vases of blooms and pretty stationary, and the beautiful lace runners looked stunning against the natural timber exposed tables spaced throughout the beautiful reception room. 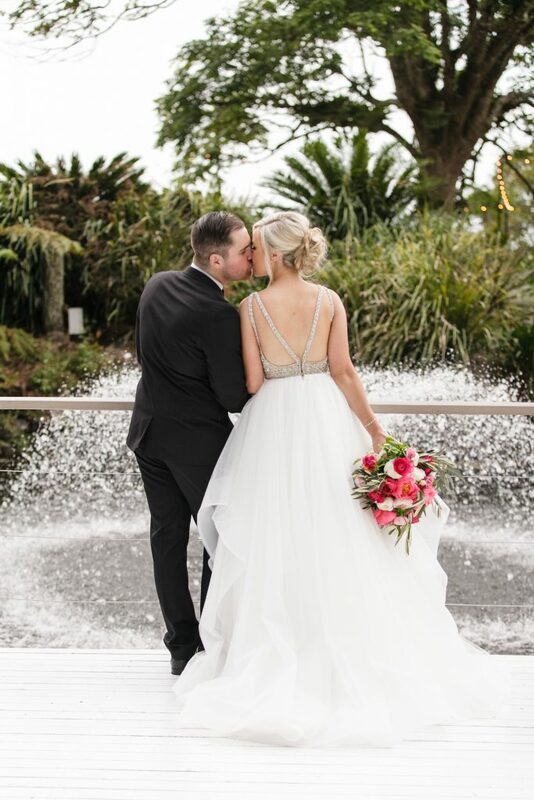 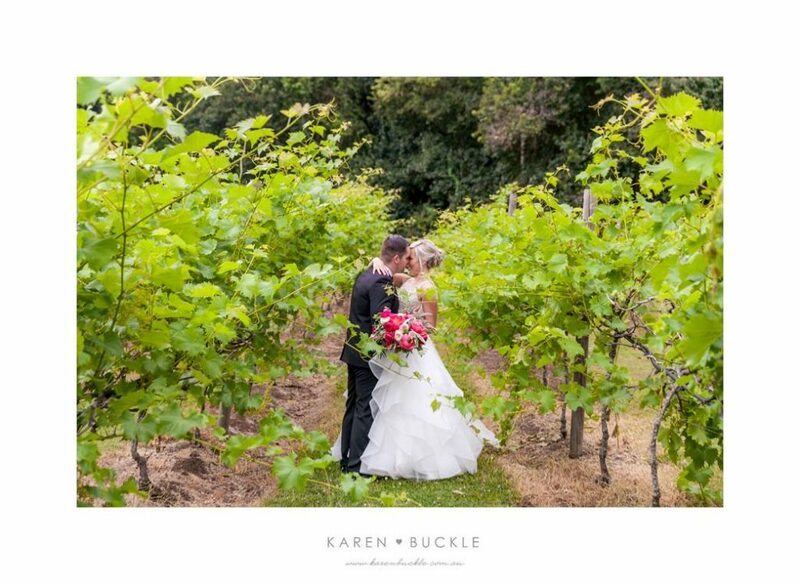 Our gorgeous Katie married her handsome beau, at one of our favourite places to be, congratulations you two, it was a pleasure to be a part of your stunning wedding day!